Club reporters ‘clear up’ claims that Mike Ashley has now taken NUFC off the market – NUFC blog – Newcastle United blog – NUFC Fixtures, News and Forum. 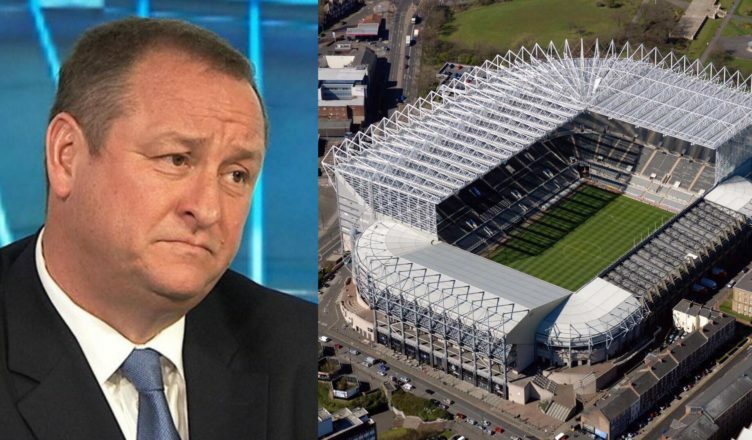 North-east reporters Luke Edwards and Mark Douglas have responded to claims that Mike Ashley has ‘taken the club off the market’, insisting that he would STILL sell if someone met the asking price – suggesting little has actually changed. This comes following a report from Martin Hardy in the Sunday Times which states Ashley will give up end his attempts to sell the club after failing to receive a ‘realistic offer’ – with the story also stating that he’s become fed up of the expenses involved in trying to sell up. It’s a response that gives us a glimmer of hope, but, in all honesty, I don’t think many are remotely convinced that anyone is going to stump up Ashley’s asking price or agree to his demands. ‘The Sunday Times report this morning that Mike Ashley has ‘taken Newcastle United off the market’ – not exactly the biggest surprise given his efforts to sell it have proved an expensive and pointless exercise for everyone with an interest in the club. ‘It doesn’t change anything really: NUFC could still be sold if Ashley gets someone willing to pay his price (of just under £300m when the club’s in relegation trouble, £350m if the club’s safe in the close season), he just isn’t “actively seeking” a buyer (if he ever really was). Peter Kenyon and Amanda Staveley may say they want the club but they didn’t have the funds to buy it – and in Kenyon’s case I’m not sure he would have been any better than Ashley, given how difficult he found it to raise funds. ‘But it might be significant. It’s our information that Ashley will issue a statement or give an interview to outline what comes next for the club if he feels he’s going to be here for the medium-term. Not before time: transparency and accountability have been strangers at NUFC and that’s unacceptable. ‘And it also means there can’t be the excuse of ‘He’s trying to sell up, why would he allow a spend?’ in the upcoming transfer window and beyond. Edwards hits the nail on the head really – takeover talk really is getting boring, however it’s a situation that can’t be ignored given Ashley’s stance will be absolutely key when it comes to Benitez’s future at the club. We all live in hope, but it’s hard to have positive expectations the way things tend to pan out whenever Ashley ‘attempts’ to sell the club – especially when his asking price will only go up if we survive this season. If he stays, he better back Benitez..